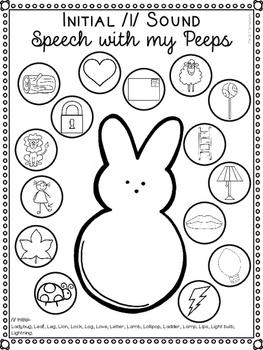 This Easter themed freebie contains 4 no prep, black & white worksheets to help students practise their /l/ sounds and /l/ blends in single words. /l/ sounds are in word initial, medial and final positions, /l/ blends are in word initial position. There are 15 words per sound/position. 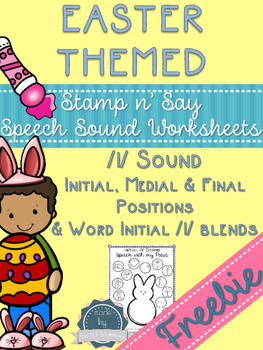 If you’ve liked this freebie, then why not check out our Easter Speech Sounds Worksheets Pack which addresses /k, g, t, d, f, s, sh/, in word initial, medial and final positions! Print the desired number of copies of each worksheet. Students then choose any word at random from their worksheet; they say the word 5 times (or any number of times you choose- you could roll a die to decide!) then they can color the word in- either using a bingo dauber or crayons. As an extension, students could be tasked to put the word into a sentence, e.g. “I got an umbrella from the Easter bunny”. 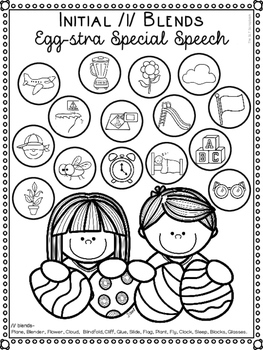 When they have finished all of the words, they can then color in the picture in the middle. Be sure to follow us on social media- we regularly do giveaways & freebies for followers only! 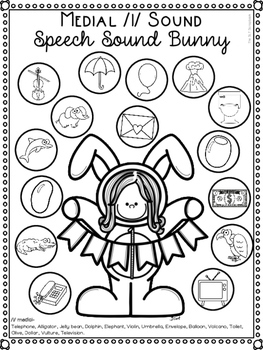 This product is for individual, personal use, by you, in your classroom/therapy sessions only. If you want to link to this product, that is fine to do so, but please let us know either via the blog, Facebook or email- thesltscrapbook@gmail.com. Remember to leave feedback on all of your TpT Purchases- it earns you credits!